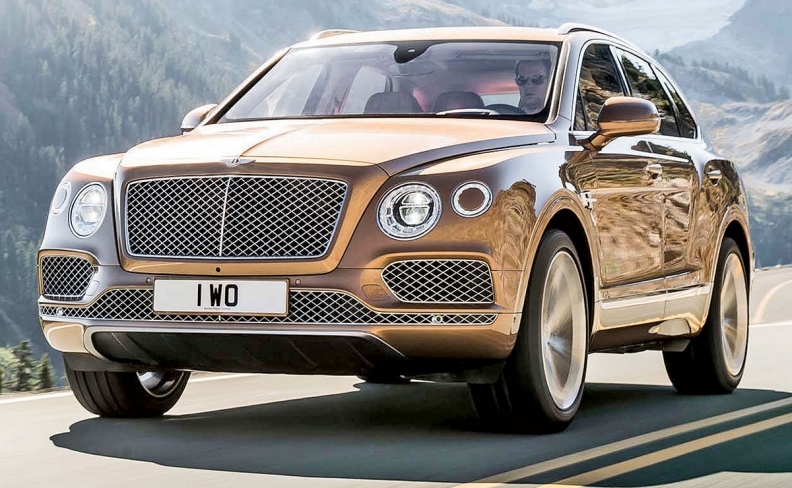 Bentley Bentayga bodies-in-white are built at VW's Slovak plant. BRATISLAVA -- Workers at Volkswagen Group's Slovak factory went on strike on Tuesday over demands for a bigger wage rise, hitting a key part of the central European country's manufacturing output. About 70 percent of VW's 12,300 employees joined the protest, union chief Zoroslav Smolinsky said, adding that production would be hit. The factory builds the VW Touareg and Audi Q7 SUVs and bodies-in-white for their sister models, the Porsche Cayenne and Bentley Bentayga, as well as the VW Up, Skoda Citigo and Seat Mii minicar family, according the Automotive News Europe's Guide to European Assembly Plants. VW declined to comment on the impact of the first-ever strike at the Slovak plant, which comes as economies across central Europe outpace western Europe, leading to a labor shortage that many companies worry limits growth. On Monday, Slovak Prime Minister Robert Fico supported the unlimited strike action by the VW workers, which began as labor office data on Tuesday showed Slovakia's unemployment rate fell to 7.4 percent in May, the lowest since the global financial crisis hit central Europe in 2008. "Why should a company making one of highest-quality and most luxurious cars with a high labor productivity pay its Slovak workers half or one third of the amount it pays to the same workers in western Europe?" Fico said to reporters. But VW's Slovak unit said last week that union demands for a heftier pay hike would endanger the plant's competitiveness within the car group and also job stability. VW produced 388,687 cars in Slovakia in 2016. The company pays an average wage of 1,800 euros ($2,008) a month, double the national average. Growth is seen at 3.3 percent this year and above 4 percent in the coming years, with the car sector the most important driver. Slovakia, with a population of 5.4 million, makes more than 1 million vehicles a year and is the biggest per capita producer in the world. Besides VW, Kia and PSA Group run plants in Slovakia and Jaguar Land Rover is building a plant due online next year. PSA and Kia have raised wages at their Slovak plants by 6.3 percent and 7.5 percent, respectively.